Just one day after Nokia officially announced their new N9 phone, the naysayers are already coming out of the woodwork. I’ll be honest, I didn’t know much about Nokia in recent times because I’ve been focused on my own battlefront of iPhone vs Android phones, but after reading practically everything I could find about the N9 phone and Nokia in general, it was interesting to learn about what’s been going on. 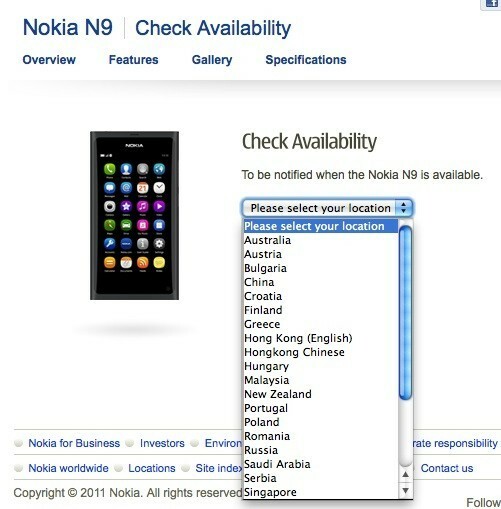 First of all, the new N9 phone has just been announced, it has no release date, no pricing information and we’re not even sure which countries will be able to get the phone—Nokia’s website allows us to believe that the device will only hit 23 countries, not including the U.S., the U.K. or even India. Second, in light of Nokia’s new partnership deal with Microsoft, some wonder why Nokia would build a new device using an operating system that appears to be on its deathbed. 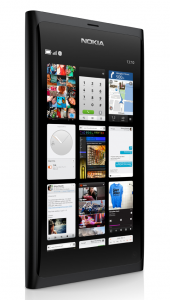 Whether or not MeeGo is being used on any mass-market devices, it doesn’t appear to be going anywhere. In fact, MeeGo is still being used on many mobile devices including netbooks, in-car stereos and tablets. The design of the software lends itself to the mobile platform in that it doesn’t require grossly over-powered system specs and tons of bells and whistles just to make it work. However, after a failed partnership between Nokia and Intel not more than a year ago, Nokia was left wondering whether to drop MeeGo and go with Microsoft’s Windows Phone or Google’s Android or perhaps branch out on its own. We all know that Nokia might be a great hardware maker, but can they do software too? Unfortunately there’s no telling what they might be doing, but with yesterday’s announcement of the new N9 phone that contains MeeGo and the fact that we know Nokia is developing Windows phones, one might speculate that Nokia will be utilizing two different operating systems to give choice to its customers. Nokia and Microsoft struck a deal last Thursday to develop new phones using the Windows Phone operating system and Nokia’s world-famous devices. This partnership “is good for the industry”, said Steve Balmer of Microsoft. In fact, the announcement was so good that Eric Schmidt from Google might be shaking in his boots after his failed attempt to get Nokia to run with Android. It’s estimated that Android is poised to become the leading mobile phone operating system by the end of 2011 with Windows slowly taking up the second spot by 2015 thanks to this new deal. I guess that puts iOS in third?! A Nokia device with the Windows Phone OS is probably just what both companies need. I’ve used the Windows Phone OS a few times and I have to say it’s not bad, but the choice of phones is not all that great. I still have bad memories of all the Verizon and Sprint phones using Windows Mobile! Only time will tell how this marriage plays out, but from what we’ve seen so far, things aren’t looking to shabby. There’s no doubt that the N9 is coming out with MeeGo and there’s also no doubt that Nokia is making devices with Windows Phone on them, but what does this mean? Some people are assuming that MeeGo is dead (or dying) and that the N9 will do nothing in terms of sales. This could also explain why Nokia hasn’t jumped back into the U.S. market yet. Others, like me, are thinking that Nokia will stick with both systems—possibly using MeeGo as an alternative to place into budget devices or phones not geared for a U.S. launch. Personally, I’m not leaning toward the “budget” theory because the N9 is estimated to cost about $700. There’s no doubt that I’ll keep a close eye on these developments because I haven’t been this excited about a new phone since the iPhone 3GS and iPhone 4. Let’s hope that the way of the future is that phones and operating systems will be made and in the end, users can pick and choose which combinations they like best. This thought may not be too far from reality considering that phones are starting to turn into little computers.